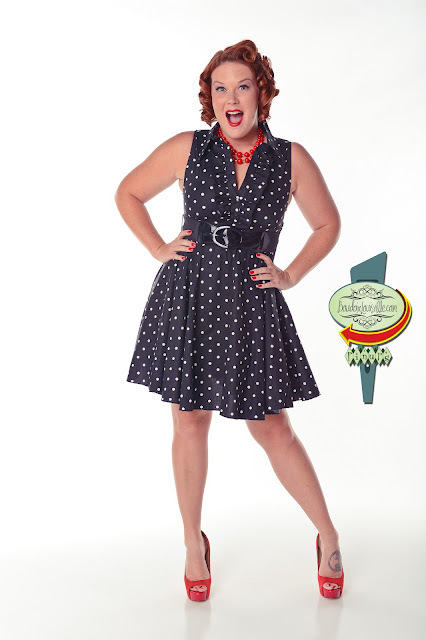 What a cute pinup dress! 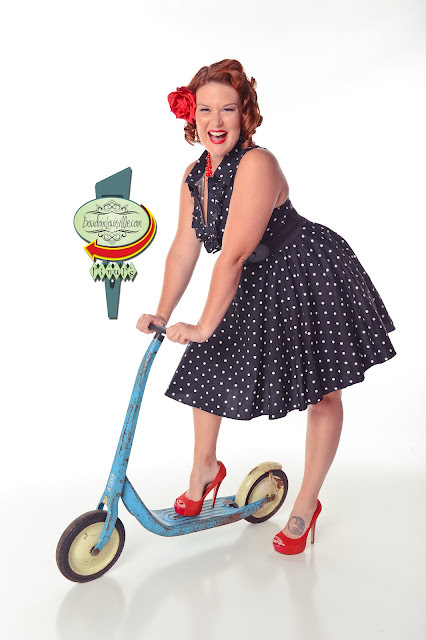 We have been seeing some really awesome pinup style clothes coming into the studio from mainstream clothing stores like JC Penny's, TJ Maxx, Macy's etc... It's a good time to be a pinup girl I guess! As soon as we saw THIS dress, we knew we would shoot it in a fun and flirty way. 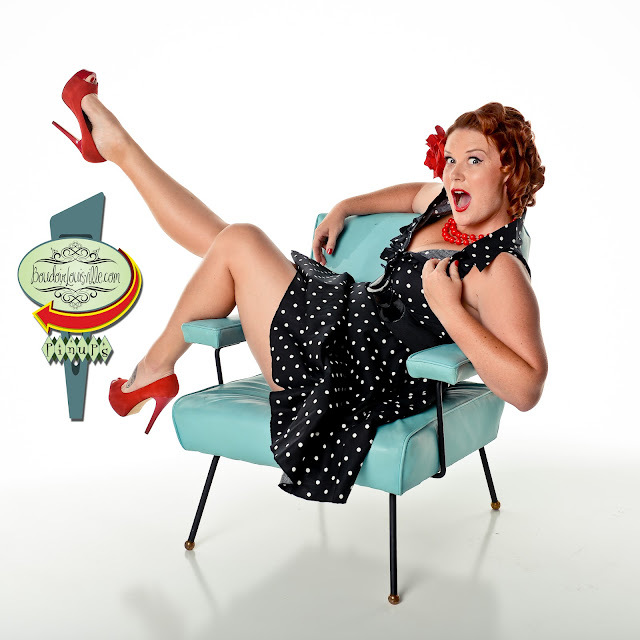 Our client was new to pinup and, just like 90% of our clients, was completely terrified! After sitting through hair and makeup, I think she was a little bit more at ease and ready to shoot. Well, she knocked it out of the park! She was so much fun to shoot with and had the perfect pinup look!